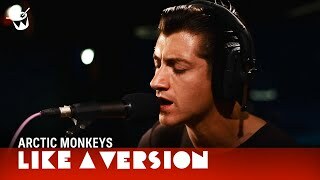 Alex Turner from the Arctic Monkeys swaggers his way through Tame Impala's 'Feels Like We Only Go Backwards' for triple j's Like A Version. 9-5-2014 · Arctic Monkeys cover Tame Impala's 'Feels Like ... Arctic Monkeys have paid tribute to ... by covering their massive single 'Feels Like We Only Go Backwards'. So it looks like we were right, sorta. Arctic Monkeys have taken to the Triple J studio and have recorded a cover of Tame Impala's "Feels Like We Only Go Backwards".